As the next generation of female entrepreneurs is emerging, they are doing so by disrupting the tired notion that women nest and don’t socialize. The Weekend Soiree is here and in full effect to demonstrate what women really want: a social, travel organization catering to professional and multicultural, queer womxn. The Weekend Soiree (TWS) was founded out of a great desire for professional and multicultural queer womxn to meet their peers from around the country. 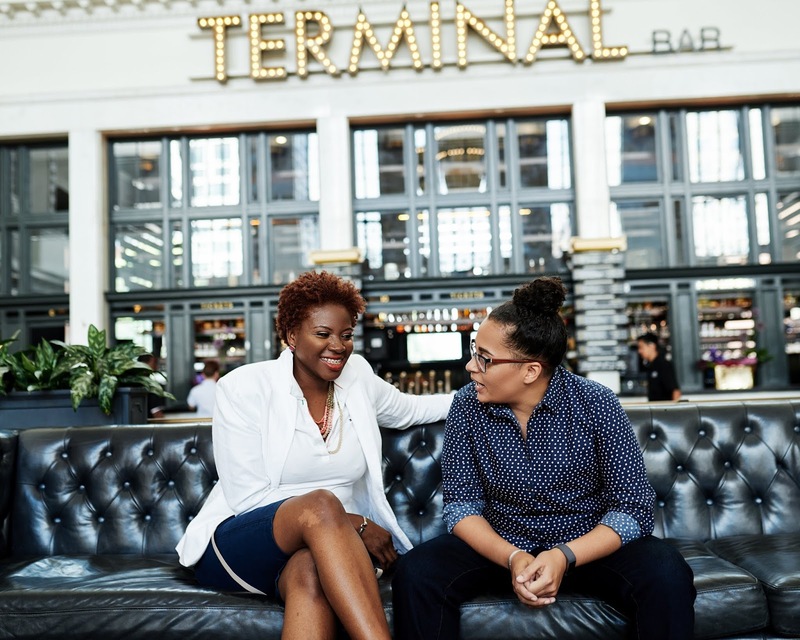 In conversations with co-founders Imani (“Grant”) and Mary ("MDot") Fuller they shared their story and their passion to bring The Weekend Soiree to life as well as how they plan to elevate an underserved market. How Did You Conceptualize TWS? After attending several conferences and LGBT event weekends, we felt that there was a daytime element missing to those weekends. Many of them seemed to focus on the parties, missing tons of opportunities for daytime experiences. We spent several months tossing around ideas about how to bring professional and multicultural queer womxn together for a 360-degree upscale weekend experience, we launched TWS in early 2018. How did you get to “The Weekend Soiree”? The Weekend Soiree is necessary because it fills the void in the event space for professional, multicultural, queer womxn who want more than just a party weekend. The Weekend Soiree is here to enable community-building, laughter, and fun through our annual event. Where will the inaugural event be held? While TWS is based in Atlanta; Denver, CO will host The Weekend Soiree for our Rocky Mountain Rollout (September 13th - 16th, 2018). What can a “Weekender” expect to experience? The Weekend Soiree is a 4-day getaway for queer professional womxn filled with professionals from our hometown host to the wonderous speakers who will facilitate The Weekend's workshops. Including fitness experts leading boot camps, yoga classes and our wicked DJs who keep the parties jumping throughout The Weekend. Imani is in the Food industry with her company, Infinite Ag, and attended a holiday culinary event hosted by the Atlanta GLCC. Mary was very active with the Detroit GLCC. How has being a member of the NGLCC community impacted your business, if at all? In the short time we've been members, we've had the opportunity to access some great resources in the hospitality space. They can send attendees to the event, become partners and get exposure to a demographic that would be interested in LGBT-owned business products. We are inclusive and we always looking for great partnerships. It's hard work, leverage every resource available to you. All our dimensions should be celebrated and respected as often as possible. Our individualities make us powerful. Connect The Weekend Soiree on social! Strategic Remedy Group is a certified LGBTBE focused on cultivating collaborative communities to propel business success.